Becoming a Remarkable Recruiter is a learned skill – and one that is necessary for the growth of your direct sales business. One of the skills of a Remarkable Recruiter is to listen for “green lights” – which to most would sound like friendly conversation, but in fact may be subtle ways of asking for more information about your business opportunity. When you hear a “green light” come up in a conversation, your response is what can lead to a recruiting opportunity without seeming pushy or salesy. 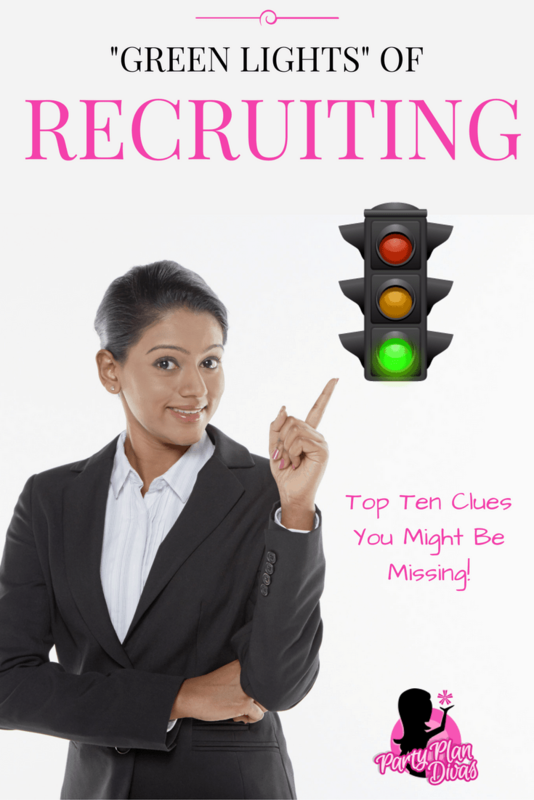 Read on to learn the Top Ten Green Lights and your best responses to help turn you into a Remarkable Recruiter! What she is really asking : How much money can I make doing this? Though money is most often not the BIGGEST reason people succeed in the party plan industry, it certainly is one of the initial reasons people look to our industry. Where else can you potentially make thousand of dollars each month without years of college education, and without working in an office 18 hours a day? What she is really asking : How often would I be required to do parties? No one in today’s world is standing around with “extra” time on their hands. She may have another job, have children she would have to find childcare for, be sharing a car with a partner – all kind of obstacles she would have to work out in order to do parties. What she is really asking: What will it cost me to get started with my own business? Most people think it costs an enormous amount of money to get started with their own business. In the Corporate World – it does! We offer the opportunity to get started with a minute FRACTION of what a brick and mortar business would require. What she is really asking: How did you convince your husband to let you be gone from the house so much? As unfortunate as it is, many women still have the hurdle of a husband who is not very supportive of her being gone from the house a few nights a week – leaving him with the children, pets, household duties, etc. I am often amazed at how many Fathers refer to keeping their own children as “babysitting”…. when what it really is, is “parenting.” However, this is still a valid hurdle and a valid question. It is frightening stepping into an industry like ours. With most jobs, there is a structured training and you are taught (in theory) everything you need before you step out into the job. Our industry is a little more “On The Job” training. You have found “The Helper” – in every crowd, there is a “helper” and that is a terrific skill we need as direct sales professionals. When someone asks to help -regardless of whether you need help or not – LET HER HELP YOU! It gives you the opportunity to chat, and start a relationship with her. What she is really asking: Will there be enough business for me? If you hear someone tell you she quit because there were “too many Consultants” in her area, know that that is an EXCUSE! Have you ever heard someone say “well I really wanted to be a doctor, but there were just too many of them?” No. Corporate America does not use that excuse and neither should we. What she is really asking : How do I learn how to do all of this? If she has never been in this industry before, she may not understand how multi-level works. On the other hand, if she has been in the industry before, she may have had a Leader who was not there for her, and that may very well be why she is not with the business any longer. The truth is, our friends tell us we should do all kinds of stuff… but that isn’t saying they will help support us in it, nor do they understand the entire picture of what “getting into something like this” means. 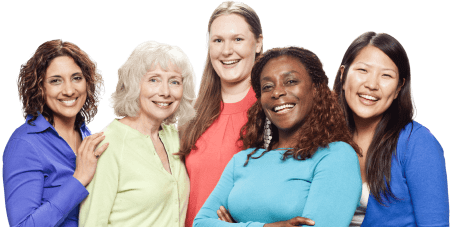 She is wanting to hear from you – the expert – if she would be good at it, and get real validation from someone in the know. This is the blessing and curse of throwing a phenomenal party, and why I say to “mess up” at least once during your presentation. You have impressed her SO MUCH, that you almost seem “untouchable” because you are so good.